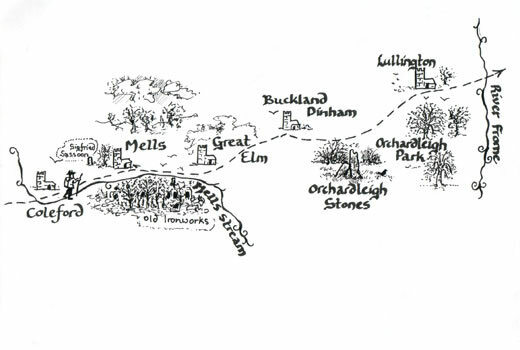 This is the third leg of the pilgrimage and takes us almost midway across the country in our quest to establish a walking pilgrimage route right across England from West Cornwall to Norfolk, following the Michael and Mary Lines. It is a shorter distance than that covered by the pilot and Cornish sections, but within that distance it covers a vast expanse of human history and a rich heritage. It also links two of the most important centres of spiritual power in the land each of which has been a magnet for pilgrims for thousands of years. 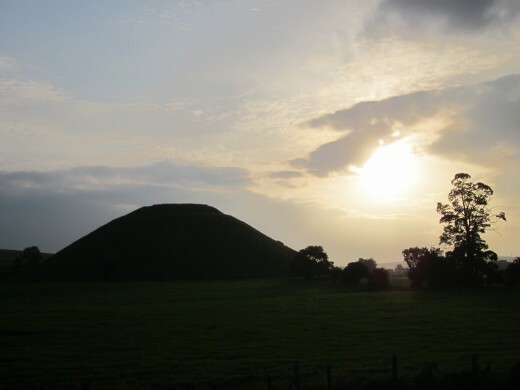 Both Glastonbury and Avebury are steeped in story and legend and retain an air of mystery and timeless wonder despite the destruction wrought by zealous hands eager to impose new ideologies. 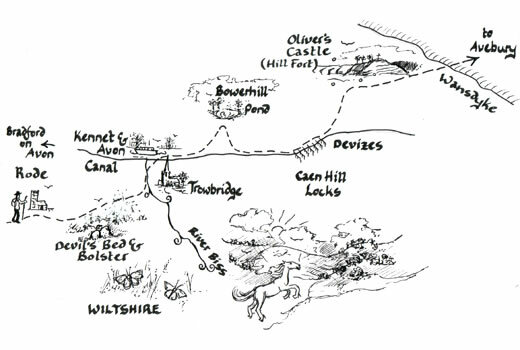 The journey between Glastonbury and Avebury is an interweaving and sometimes a blurring of Christian and pre-Christian sites, with holy well and hillfort side by side as at Oliver’s Castle, whilst the burial place of an 18th century vicar of Winterbourne Monkton is marked by a Sarsen stone taken from a nearby burial mound. The influence of Glastonbury Abbey at one time stretched right across this landscape, symbolised by the surviving tithe barns at Pilton, Doulting and Mells, built in the Abbey’s name, whilst within a mile of Avebury a community of monks from Glastonbury was known to have resided in Saxon times. 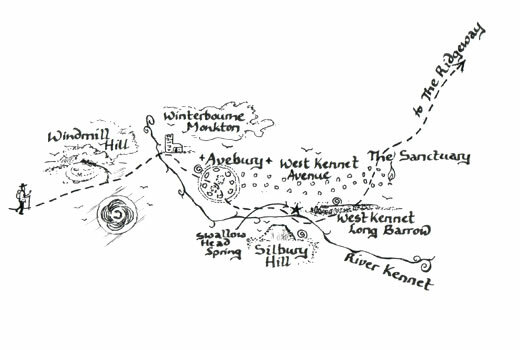 At Avebury the vast scale of the stone circle and henge or of nearby Silbury Hill is awe inspiring, yet sometimes it is the quieter tucked away places such as Swallowhead spring or Great Elm church where the spirit of the place can be most palpable. Who can say quite what the influence is of the Michael and Mary earth energy currents on the rich intermingling of earth based spirituality and Christianity found along the way, but we hope that people drawn to follow this route will benefit from the experience and in so doing honour the places through which they pass and the paths on which they tread. 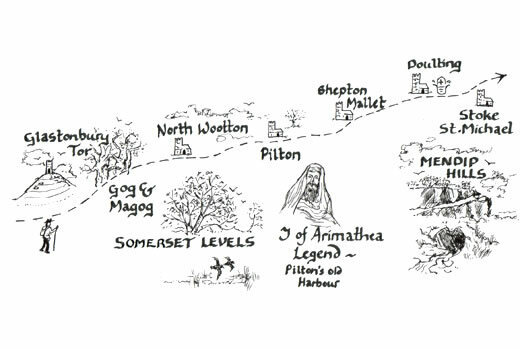 The guide for this section of the pilgrimage is now available. It is included in the same volume as the updated and enhanced guide to the pilot section and can be purchased through the website. In the meantime have look at the galleries of photographs which show some of the places of interest along the way.